With an increasing worldwide demand for goat ‘s milk for cheese, yoghurt, and liquid milk, the farmer requires the best equipment to maximise their efficiency and profitability. 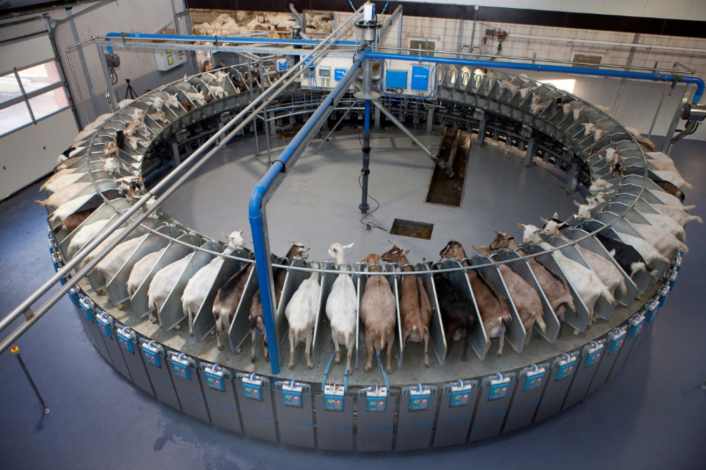 Silclear now produces silicone tubing suitable for goat swing over or rotary parlours. All Silclear dairy tubing is manufactured from food grade silicone and has the approval such as 3-A 18-03 (European), FDA 177.2600 (USA) and RAL Knife & Fork (European) to give our customers the confidence that this is a material with the hygiene characteristics appropriate for use on a dairy farm.